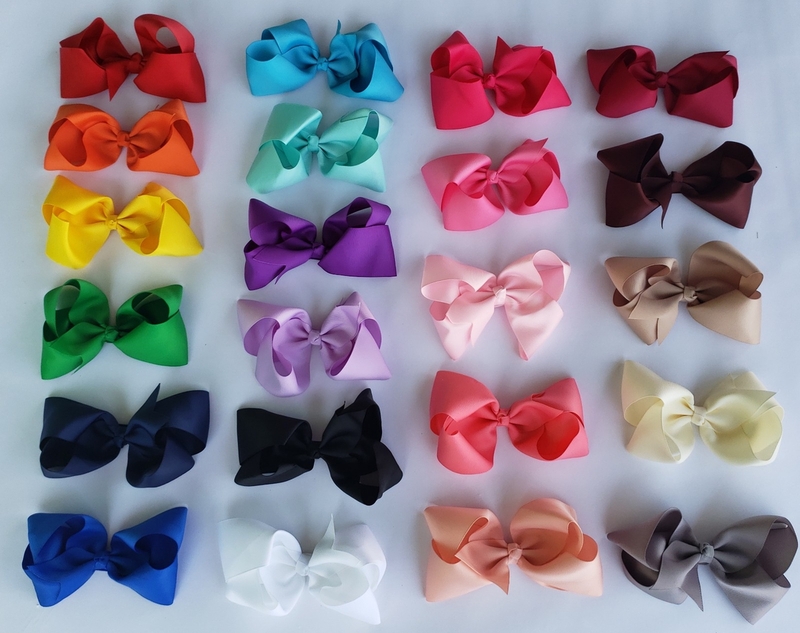 Adorable hair bows on alligator clips! These are made by hand and are just over 6 Inches wide with perfect french knot centers. Heat sealed to prevent fraying, grosgrain ribbon. Clover Cottage`s ribbons and metals are certified safe for babies!